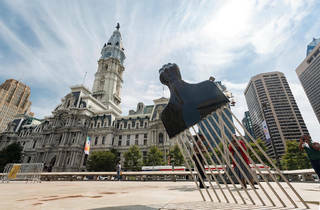 A new Mural Arts Philadelphia project called Monument Lab tasks 20 local and national artists with creating monuments to the city. They will be displayed in 10 public parks around town between September 16 and November 19. 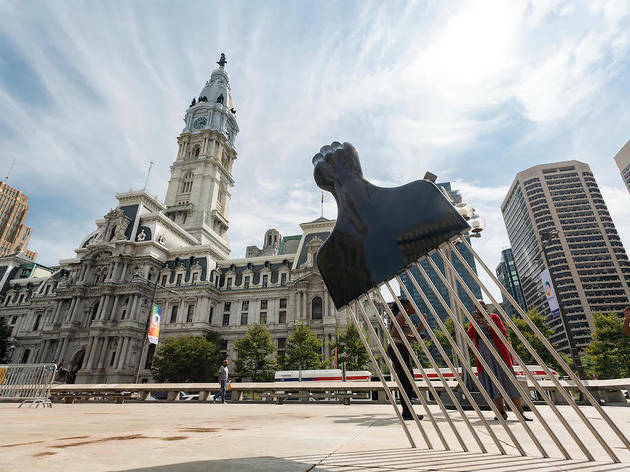 The works in Monument Lab come in all shapes, sizes and formats—from a giant Afro pick at Thomas Paine Plaza to a collection of stoops in Washington Square—and are meant to give voice to overlooked communities and address current social issues facing this city. Here are five projects we’re excited about and where to find them.